ChallengeSGM: End of Year Totals So Far! 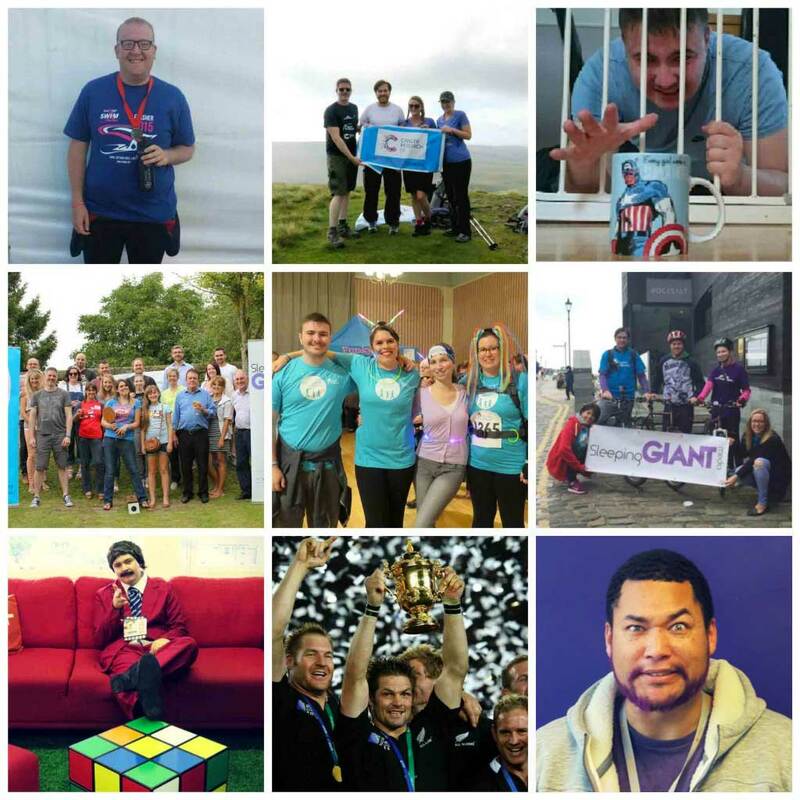 As 2015 is drawing to a close, we’re reflecting on all the GIANT achievements we have made through ChallengeSGM over the year! Since July, so far we’ve raised £1497 of our £1,500 goal for Pilgrims Hospices, and £1209.15 out of our £3,500 goal for Cancer Research UK, and intend to reach our goals by July 2016. Dan kicked (note: splashed) off the fundraising in July with his Great London Swim, where he raised £290 for Cancer Research UK. Following Dan, in August, Lee, Justine, Sean, Ant, Pascal, Luke and Tom all climbed the 3 Yorkshire Peaks, where they trekked 24 miles in under 10 hours. The Giants raised £239 for Cancer Research UK and £388 for Pilgrims Hospices. A Bat and Trap event in aid of Pilgrims Hospices was also held in August, where our Giants raised £205! In September, Josh, Holly, Maria and Rachel donned their glow-in-the-dark accessories as they undertook The Moonlight Walk and raised a massive £733 for Pilgrims Hospices. Josh also gave up tea and coffee for the month, and raised £175 for Cancer Research UK. For October, we held our Giant Charity Event at Rocksalt, where Maria, Chris, Lee, Nell, Ant and Dan undertook a 20k bike ride, a 10k run, a 10k kayak, and a 10k swim between them; We raised £369.65 for Cancer Research UK and £134 for Pilgrim’s Hospices. Our Rugby sweepstake also raised £64 for Cancer Research UK (we have Sean to thank for this as he purchased most of the Nations!). SGM’s Halloween saw a fancy-dress spooktacular, with Josh’s fantastic effort of Ron Burgundy for the DC team raising £37.50 for Cancer Research UK. November welcomed Movember – in our case, Sam’s interpretation of it, known as No-MO-Samber; Sam put his already well-kept beard on the line, where the highest donator, Kathryn, decided the fate of his luscious facial locks. Sam raised £35 for Cancer Research UK. We look forward to completing more ChallengeSGM adventures in 2016, where we’ve got some pretty awesome challenges up our sleeves. Keep your eyes peeled!